A “working-class nation” is a contradiction in terms! Lsanka has a lot of lies mixed with some facts. The facts are that the Native Veddah Aethho are the original inhabitants and owners of the Land. All others, Sinhala, Tamils and others are pata from South India.,. Tamils can unite with Tamil Nadu. Lanka-Elankai Tamils Madus can unite with Lanka Sinhala Madus (Modayas) and call each other para-Tamil and Para-Sinhala in the Land of native Veddah Aethho. You are a BBS man and you can join with the Cheenavedi. What is stopping you man. We have lived here for 3000 years long before you arrived in Kallathoni and we are here to stay. T.U.Senan, you hypocrite leave us alone at least now or come to Thondamannar fish market to face Thondamannar treatment. Keep your $$ and leave us alone. We shall manage our own affairs. Remember, your financing of the LTTE has destroyed our Youth & Children while yours enjoy elite schooling overseas. If as you say, classism IS the main problem for Sri Lankans, why not unite the poorer classes under one umbrella, and fight for their collective rights? I am sure the poor fisherfolk and the marinalized masses share much in common regradless of which language the family they were born in to speak or which religion they practice. Also given the %s, isn’t it a better strategy to unite people under socio-economic classes rather than enthno-religious? This dude is right on the money on one thing. It is clear as crystal when one ventures in to outer suburbs of London, Toronto,Sydney and Melbourne. Obviously this guy is a Rev Emmanuel loyalist, who is in charge of mostly non classy arrivals. But at least the GTF is totally affiliated with the TNA according to the statement from the Reverend’s deputy, Suren Surendran. Isn’t it part of your proud 2500 years old civilisation? About 100 years ago your Anagarika Dharmapala (homeless one) lot added third dimension. The third one is the race, Aryan Sinhala/Buddhists to enhance their stupidity. Do you know whether your mates gave him the nod?.. First I thought Mano was expecting a homeland too, May be he got a bit wiser after Badulla. Is he willing to share the Vellala Homeland ?. See the Anagarika lot in contrast do not have these problems. Some of our Dalits have moved to even Cinnamon Gardens. Even our Durawe boys shack up with Govi chicks. Just imagine that sort of matrimony in Wellala Gardens , let alone in a pure Vellala Land. BTW , sorry I can’t change my genetical make up. 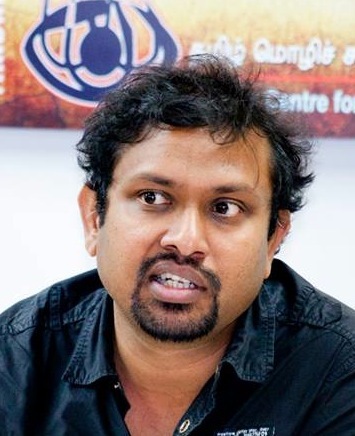 “The Tamil struggle should take an anti-corporate, anti-big business, anti-capitalist position at the least”. How are you going to convince all the capitalist Tamils who work for big business and corporations to abandon their ways and unite for the “working class”? Sounds like an uphill job. You come by as either a naive or an ignorant by-stander. You cannot be an exception to the general notion that many believe and expect a make-belief world where everything will be perfect. Given the chance, you would not even be able to crawl. Yes, it is true of most, if not all, of what you have said about this world but my dear Senan, you and I living on planet earth, if you do really understand what that means. Just like anywhere else, just like the sinhalese have their divisions and differences, just like the Americans and just like the Indians there will be divisions and difference, politically or otherwise and being in the minority, Tamils will always face the “divide-and-rule” possibility facing them in SL and elsewhere. Wishing away is but a dream and it is within a narrow and meandering path that one has to see the light of hope to hope for the better. Thousands of Tamils marched in UK and Canada during the height of the war but still that could not prevent the horrific end in Nandikadal and thereafter. No one is going to stop you shouting at the top of your voice with a few others to raise those issues you have mentioned but you will always be a by-stander, not because the world is imperfect but because you are imperfect in understanding the reality. I would MR and GR to be arrested immediately to be committed for war crimes but will that happen any sooner? 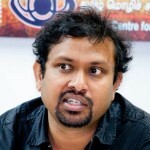 The matter of the fact is the Tamils in the North have elected the TNA and not Anandasangaree, etc. They had enough of the talk from the likes of you and want to move forward. It is not a secret that the opportunities and hopes of the Tamils have dwindled to a narrow straits, a dire straits at that, after suffering defeat by taking up arms. It has been a very tricky game. Forget about the Tamils disunity, there are govts, besides the Indian govt, that still support SL at various forums and building up consensus to get even to the point that has been reached has been a slippery slope. You can blabber all you want but in another thirty years you will still be doing that unless, of course, you wish to do that in Rishikesh where you may actually find a few takers. Hunny Fathima you and I are made for each other and why don’t we tie the knot. I love you. Good move, if you want to be infested by head lice.